It's been a while since we've heard any news regarding Die Hard 6, which was at one time being called Die Hard Year One, but now Bruce Willis has confirmed that the movie is still happening. Maybe. The first Die Hard movie came out in 1987 and became an instant classic in the face of over-the-top action heroes. Willis' John McClane was just a normal New York City police officer that found himself in the middle of a terrorist attack. The new hero was a breath of fresh air, but it did not last long as each subsequent sequel in the franchise moved away from the "every man" aspect. Die Hard 6 director Len Wiseman announced the movie back in 2016 and revealed in September of last year that they were looking into casting a young John McCLane. In a recent interview, Bruce Willis confirmed that the movie is still happening and noted that he was going to be flying out to California soon to check on the status of the script. One has to wonder if Willis knows about the powerful form of communication called email, but that's a different story. He had this to say. "I'm about to wing out to California to start to see what the script looks like. So I think so, yeah." 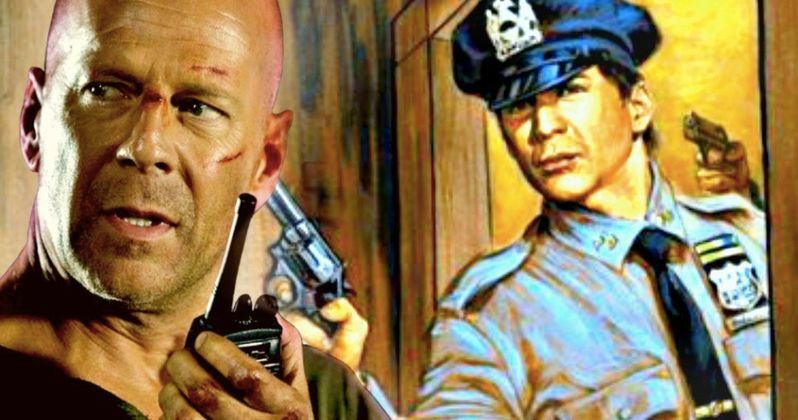 Die Hard 6, aka Year One, is said to have a young version of John McClane as a cop in New York City in the 1970s with a different timeline where an older John shows up. Other than that, there's not a whole lot of information about the upcoming sequel. So far, Len Wiseman, who also directed Live Free or Die Hard, and Bruce Willis are the only ones attached to the project at this time. Back in September, Wiseman did say that it was going to be difficult to find the right actor to play the young McClane, noting that, "Those bare feet have some very big shoes to fill." It will be interesting to see how they decide to utilize the two timelines in Die Hard 6. Additionally, it seems like it will be hard to introduce a new actor playing the young John McClane, so we'll have to wait and see if and when the movie comes out. It seems likely that someone from McClane's past could reappear in the present-day, which would make for an interesting storyline, fleshing out the past details to understand the present-day story. However, that's just speculation at this point. Bruce Willis will be seen on the big screen for the first time in a while this Friday when Deathwish hits theaters. And while Die Hard fans are excited about the prospect of another movie, Willis fans seem to be more excited to see him in M. Night Shyamalan's Glass, which is a sequel to Unbreakable and related to Split. You can check out the interview with Bruce Willis where he talks about Die Hard 6 below, through the The Tonight Show with Jimmy Fallon's YouTube channel.